A new Eastern European food truck is in these streets with fresh beets. 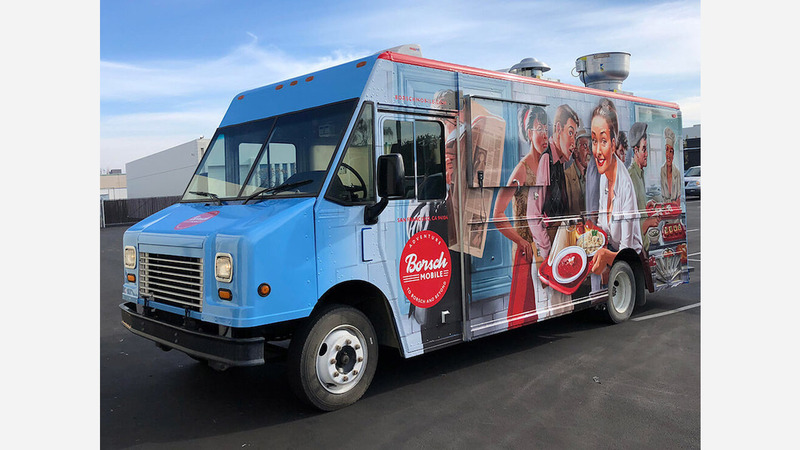 Called Borsch Mobile, the newcomer is located in Mission Bay, with regular stops at Off the Grid in SoMa, Fort Mason and the Upper Haight. The food truck takes its name from borscht -- a soup popular in Eastern Europe -- which "serves as a base and adds a touch to other dishes," says the company's website. According to its founders, Borsch bridges the gap between East and West by combining "old country flavors with the freshest ingredients available." Siberian pelmeni (beef/pork dumplings with sour cream). Look for traditional Ukrainian borscht with sour cream; Siberian pelmeni (beef/pork dumplings); and a beef tongue sandwich served on a toasted bun with arugula, sriracha aioli and more. With two reviews on Yelp thus far, Borsch Mobile currently has a 4.5-star rating. 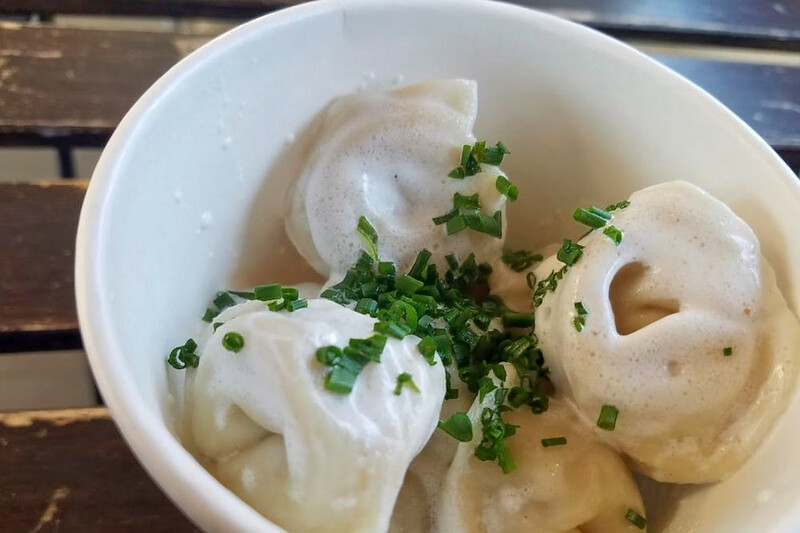 Adam B., the first Yelper to review the new spot, said Borsch offers "pretty hearty food for the portion size." As far as "the eponymous dish...it was perfect for a chilly (by San Francisco standards) lunch outside. " Margarita B. said, "I think this is one of the best food trucks overall and a great place to try and fall in love with Russian food. The borscht tastes like my childhood. It tastes like the good part of my childhood." Borsch Mobile is open daily from 11am to -2pm and from 5pm to 8:30pm. Check the truck's calendar to find its current location.